The battle has been intensified as Ron Unz, previously cited at this forum, owner of the rapidly growing http://www.unz.com, has let all pretense of belief in the impossible 'holocaust' narrative fall by the wayside. Now supposedly, the Germans slaughtered millions of Jews and buried them in mass graves in Poland. But then a couple of years later once the tide of battle shifted and the Russians were advancing, they allocated gigantic human and physical resources to dig up most of those rotting bodies and cremate them, thereby making all the evidence disappear. Seriously, isn’t that just about the most absurd thing you’ve ever heard? Does *anybody* seriously believe something so totally ridiculous? Wouldn’t it be more plausible to claim that the technologically-advanced Germans invented a teleportation machine and beamed all the bodies to Venus? Let me tell you right now, we are not alone. The biting responses are pure gold. The growing number of Revisionists there is prescient. You can also witness True Believers faltering under the deluge of well informed, well researched Revisionist comments / posts / responses. Besides his own 'American Pravda' series and other thought provoking writings, Ron Unz does present opposing views. I urge everyone to join in there, and as always, here. The tide is turning, we're winning this fight. Re: Ron Unz goes full on Revisionist: "Does anybody seriously believe something so totally ridiculous?" The comment section has exploded. 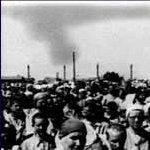 Once in a while a holocaustcontroversies-blogger curses the unbelievers and quotes Muehlenkamp. Noone else is willing to defend the official narrative. I am truly impressed. I've just spent my entire lunch time and more enjoying both a lovely home cooked burger and this wonderful article by Unz. His clarity of thought and ability to transmit this to the reader are a thing of wonder. The problem for the whole holocaust promotion industry is that the facts have caught them out and millions of reasonable and normal people have agreed with the new normal which is of course that the holocaust as claimed is a lie. The comments section is most interesting, though at present I haven't the time to read all one million of them! It'll be interesting to see how the zionist holocaust believers change and adapt to this realisation that they are a bunch of shysters. At the moment they are sticking to the say it loud and often routine which they think will win the day. Call everyone an antisemite is still the flavour of the day. The current Labour party issues regarding their leader, Corbyn, and his claimed antisemitism is a case in point. It won't last though IMO and as such how they move their narrative on is to be relished. They've tried the holocaust by bullets strategy and that failed spectacularly when their story was miserably short on locations, facts and bodies. So where now for the 6m gassed Chosenites? It certainly doesn't look good for them and they appear to be feeling the extra heat under the collar. I applaud Unz for his vision and balls. Is Ron Unz the first Western political figure to endorse full-on Holocaust revisionism? Ron Unz is a political figure in his own right, and could have even been elected governor of California in the 1990s during the peak of his political fortunes. He has appeared as a prominent conservative activist on panel talk shows and published a major conservative magazine (The American Conservative) for many years. Is Ron Unz the highest-level Western political figure of this era to have endorsed, full-on, Holocaust revisionism? Others have known (Pat Buchanan, for one, certainly knows); few, if any, have had the courage to say so. 3. The hoax had a Zionist provenance and motivation. That is, while some of the original obscure stories did not come from Zionist sources, the elevation to allegations repeated by the American and other governments, and major institutions, was due to Zionist circles within those countries, who acted with Zionist motivations. I continue to maintain those three theses, which have become core features of what is called "Holocaust" revisionism. Apart from some nuances of wording, the three theses were repeated by President Ahmadinejad. Therefore, there can be no question that I endorse his remarks in those respects. I congratulate [President Ahmadinejad] on becoming the first head of state to speak out clearly on these issues, and regret only that it was not a Western head of state. As of 2018, no heads of state yet. The only Western head of state I can imagine coming out for Holocaust revisionism is the current U.S. President Donald Trump (a miniaturized incident comparable to a Holocaust revisionist argument is the dispute in the news as of this writing, over the death toll from Hurricane Maria in Puerto Rico in 2017; President Trump disputes the methodology behind the allegation that 3,000 died). A Trump endorsement of Holocaust revisionism while in office seems exceedingly unlikely for several practical reasons, but the man has surprised us before. Chance: Very low but not zero. So, no heads of state. What about Western political figures? Correct me if I am wrong but I believe that all other possible candidates, i.e., Western political figures who have ventured carefully into Holocaust revisionism, have been very careful, hedging bets, speaking ambiguously. (Not just those subject to imprisonment for it in Germany, etc.). So is Ron Unz the closest to a major Western political figure to have endorsed, full-on, Holocaust revisionism? This must be counted up as a minor but significant breakthrough. Holocaust activists on Wikipedia have given Ron Unz the scarlet letters H.D. (Holocaust Denier). In August of 2018 Unz came out as a Holocaust denier. The writer clearly knows little about Revisionism as he considers the discussion to be a "Great Debate", it certainly is not. We seriously doubt that anything 'holocaust' related from David Cole has substance any more. He caved long ago. Mr. Unz seems to be just arriving. The Counter Currents article rather looks like a diversion from what Mr. Unz was getting at in his article. The author is simply not up to the job required.